CCTV legislation was introduced in the UK in 2012, followed by a Code of Conduct in 2013. CCTV recordings are also covered by the Data Protection Act. Sounds complicated? We provide a simple guide below. More and more people are investing in CCTV cameras to protect their properties and why not? It’s the sensible thing to do. However, many people are unaware of the various pieces of CCTV legislation and their personal responsibilities under the law. The Information Commissioner’s Office, or ‘ICO’ is responsible for enforcing this legislation. The SCCOP legislation is designed to balance the need for CCTV cameras with the public’s right to privacy. Some of the SCCOP only applies to CCTV for commercial use. The DPA legislation gives individuals the right to see information held about them, including CCTV recordings. – You can read the Surveillance Camera Code of Practice 2013 here. – You can read about the Data Protection Act and CCTV here. Most people haven’t got the time or inclination to read the SCCOP and DPA themselves (understandably). So to keep things simple, we’ve read all of the UK CCTV legislation for you and provided straightforward, easy-to-follow, guidelines for domestic and commercial users of CCTV below. Firstly, please be aware that there have been complaints to the police and the ICO from people believing CCTV was used to spy on them, so it’s important to follow UK CCTV legislation guidelines closely. 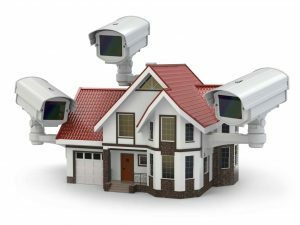 As the homeowner, you are personally responsible for making sure your CCTV system is installed correctly and you comply with guidelines. If you are unsure at any time, then please get in touch with your CCTV company. 6. 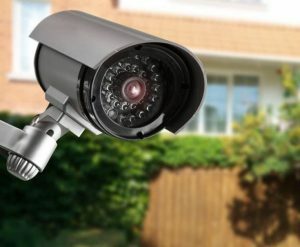 If you operate CCTV outside of the boundary of your property and don’t privacy mask, then you may need to register as a CCTV operator with the Information Commissioner’s Office. Get in touch to check. Find out more about CCTV installation here. Find out more about CCTV servicing here. 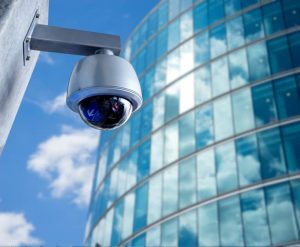 Because CCTV recording is governed by the Data Protection Act, businesses can be liable for fines of up to £500,000 if it is misused. So it’s important to make sure guidelines are closely followed. As the person responsible for CCTV in your business, it is your duty to make sure the CCTV system is installed correctly and the company complies with CCTV legislation guidelines. We hope this simple guide has been useful to you, but if you have any further questions, or to talk to us about installing a CCTV system, please just get in touch on 0845 845 3001 or email us at info@surreyfire.co.uk. Our friendly team will be happy to help.